The display auction on the Yandex Home page offers you the opportunity to place a display banner on the Yandex Home page. Such banners can help you improve your brand image and awareness, generate interest in your brand, and expand your reach. You pay for impressions. Yandex is the most popular search engine in Russia, so placing ads on the Yandex Home page can ensure that your brand reaches a multi-million audience. You can set up time targeting and geo targeting, and also specify the version of the Yandex Home page where you want to place the banner: full or mobile. 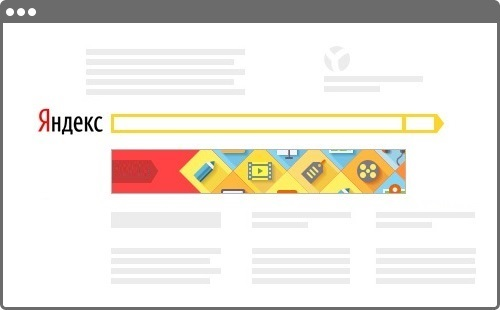 You can gather a segment of users who saw your display banner on the Yandex Home page, and continue interacting with them, such as using contextual advertising.